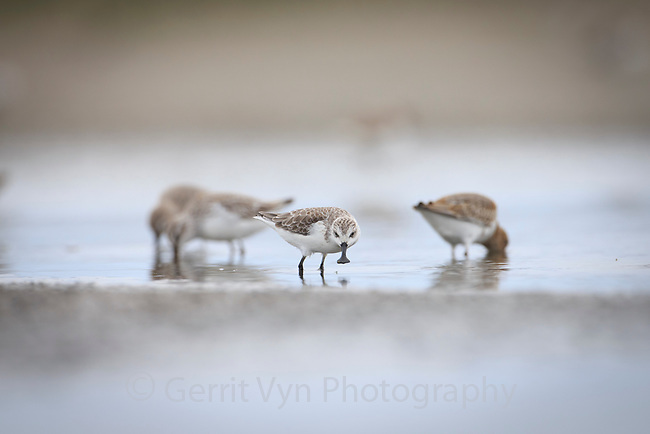 A Spoon-billed Sandpiper joins other long distance migratory shorebirds feeding on mudflats near Rudong, China. This bird is about to grab a small flying insect. October.